Flu & Cold season is quickly approaching and it’s time to prepare. 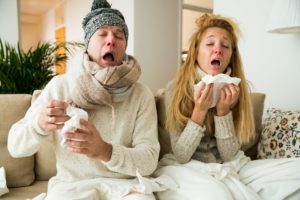 We all have a unique immune system, some are compromised by what we eat, drink, whether we exercise or not, and by illness. Thou gh you can run to your local store and fill up with cough syrup and flu medicine like you do every year and how to ride it out, there’s another way. This year, forego the over-the-counter cold medicines and try something new; something that won’t damage your body or merely dull the aches and pains and stuffy nose and have you curled up on the couch till the cold virus works its way out of your body in a week or two. 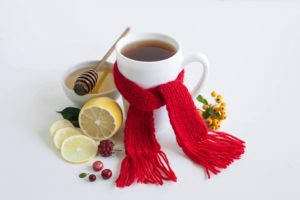 Our WINTER IS COMING workshop is specifically designed to help you discover holistic non-toxic ways to reduce the effects of colds and flu through the use of the healing properties of essential oils. 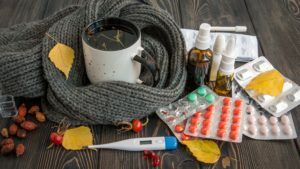 Best of all, these essential oils will help strengthen your immune system to make it more difficult to catch the flu and reduce its impact, if you do. 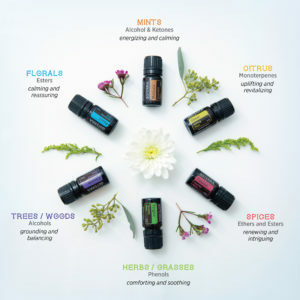 This fun interactive workshop will teach you which essential oils can help reduce the aches and pains associated with colds and the flu; how to get rid of headaches and migraines; help you develop a healthy spray for sore throats; and discuss ways to reinforce your immune system. 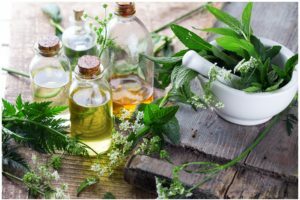 We will also address the many health benefits available through the use of essential oils and how to distinguish the good ones from the bad. There will be plenty of time for questions and answers. Best of all, you’ll get to create your very own Cold & Flu Prevention Essential Oils Kit and take it home with you. We provide all the materials and essential oils needed. As always, we use only 100% PURE essential oils in all our products and workshops. Sure it costs us a little more, but YOUR worth it.